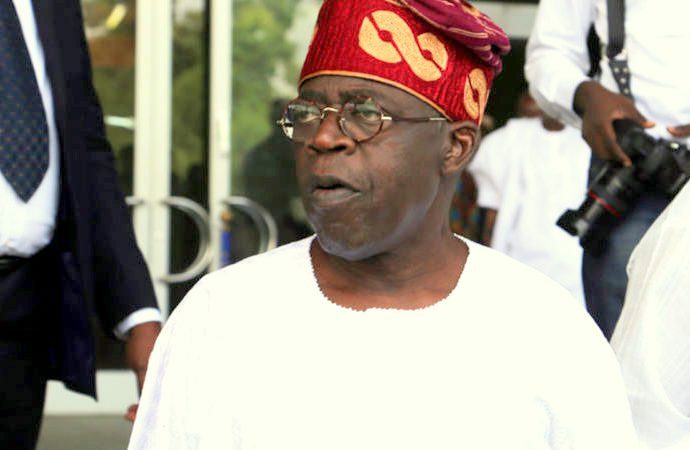 Facts have emerged why the National Leader of the All Progressives Congress (APC), Asiwaju Bola Tinubu, turned down an offer by the presidency and national leadership of the party for him to lead President Muhammadu Buhari’s campaign for the 2019 presidential election. A source close to the former governor of Lagos State told Saturday Telegraph that Tinubu asked to be left out of Buhari’s campaign, so that he can have enough time to reorganise the party in the South-West zone ahead of the 2019 general elections. His words: “There is no doubt that Asiwaju is committed to President Buhari’s second term bid and have started mobilising towards that, but he pleaded to be left out of the national campaign committee, so that he can reorganise the APC in the South-West ahead of the coming elections. “You know very well that the party is now in control of the six states of the zone given the outcome of the recent governorship elections in Ekiti and Osun states, but Tinubu feels that it is not yet a done deal. “His thinking is that measures should be put in place to sustain the gain by ensuring that the party retains Lagos, Oyo, Ogun, where governorship elections will hold in the forthcoming general elections. So, his request should not be misconstrued as opting out of the APC presidential campaign.” But, another source close to the APC leader told our correspondent that Tinubu’s main reason for excusing himself from the APC presidential campaign was for him to seize the opportunity of the 2019 general elections to consolidate his grip on South-West APC ahead of the 2023 general elections. The feeling is that the APC national leader wants to further energise his base in the South West following the various crises and discontent that emanated from the primaries in some states. As the saying goes, charity begins at home, so Tinubu’s action is consistent with this adage as his eyes are firmly fixed on the horizon in 2023. According to the source, Tinubu played a major role in the emergence of APC governorship candidates in Lagos, Oyo and Ogun states and feels that it would be a costly political gamble to leave the candidates for the presidential campaign given the opposition against their candidacy from within and outside the party. “There is no pretence that Tinubu is gearing to run for the presidency after Buhari might have concluded his second term and the time for the ground work is now. So, the APC national leader has practically launched that bid with the game he played during the party’s governorship primaries. “The calculation was to install his loyalists as governors in order to have a solid base as well as to cripple other party chieftains, who may pose a threat to his ambition in 2023. That informed his support for the party’s governorship candidates in Lagos, Oyo and most importantly, Ogun State. “Though he had his way during the primaries, the battle is yet to be over because those who lost out have not given up. That is why you see fresh alignments and realignments about two months to the elections. Ogun State is a typical example; you saw how APC lawmakers in the state and other chieftains dumped the party in their numbers. “So, for Tinubu to keep hope alive ahead of 2023, he has to stay back home and make sure that his anointed candidates; Babajide Sanwo-Olu in Lagos, Dapo Abiodun in Ogun and Adebayo Adelabu in Oyo, emerge tops in the governorship elections though he is also working for Buhari’s re-election,” the source said. It would be recall that the Minister of Power, Works and Housing, Babatunde Fashola, recently urged the people of South-West to vote for President Buhari in the 2019 elections to guarantee a return of power to the region in 2023. Fashola said besides the massive investments by the Buhari administration on infrastructure across the country and in South-West in particular, the zone would benefit more politically by voting for Buhari. The minister, who spoke in Yoruba language and with a proverb said: “Did you know that power is rotating to the South- West after the completion of Buhari’s tenure if you vote for him in 2019? “Your child cannot surrender her waist for an edifying bead and you will use the bead to decorate another child’s waist. A vote for Buhari in 2019, means a return of power to the South West in 2023. I am sure you will vote wisely.” Already, the APC national leader has a firm grip of the party’s structures in Lagos and Osun states, but he is working to take over those of Ogun, Ondo, Ekiti and Oyo states. Meanwhile, National Publicity Secretary of the APC, Lanre Isa-Onilu, who allayed fears over Tinubu’s position, said there is no doubt that the party’s national leader remains committed to the party and that whatever stand he takes would be in the interest of the party. His words: “I have not seen the report you are talking about, but in the first place, that could be a bit hypothetical as members of the campaign council have not been announced. “What you should be certain of, is that whatever position Asiwaju Bola Tinubu takes, as someone who has demonstrated uncommon leadership for this party, it must be in the best interest of the party.